In early January, IT launched a redesign of the login page used to access My UIndy, ACE, Handshake, UIndy Self-Service and Banner admin pages. This change was implemented to modernize the interface, provide a better mobile experience, and improve security. 9:00 p.m.- 3:00 a.m.: My UIndy, Handshake, UIndy Self-Service and Banner Admin Pages, etc. 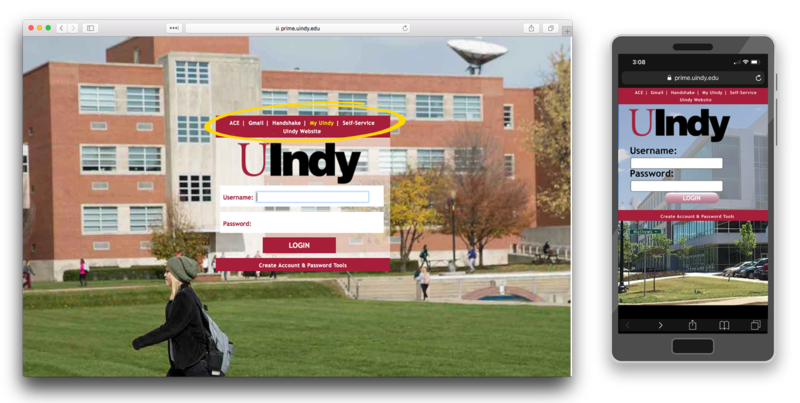 Links to UIndy systems currently listed on the login page will not be included on the new login page. All systems may still be accessed from existing links inside My UIndy. If you have questions or need additional information, please contact the Help Desk at help@uindy.edu or (317) 788-3318.